When it comes to Footgolf, London and Essex have got some of the best options in the country. In a densely populated part of the country, there are some surprising Footgolf gems. Whether you’re a local looking to get hooked on a sport that will keep you fit whilst having fun, or a visitor to the area, Footgolf in Essex and London is well worth investigating. To make things easier, we’ve selected our Top Footgolf Courses in London and Essex to whet your appetite. However, don’t stop there, we have plenty more Footgolf options in Essex, and London to choose from. 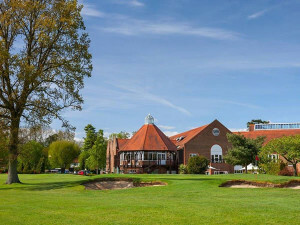 Each of these courses makes it in to our Top 5 for different reasons, whether it’s the location, the club atmosphere, the technicality of the holes, or the facilities on offer. All offer something distinctly different to Footgolfers, and that’s what we love. What’s great about the London options for footgolf is their ease of access, combined with the opportunity to get in to wide open spaces and greenery. Barnet Footgolf in Greater London does just this. You can get here by public transport to High Barnet tube station, or on bus routes 183, 383, and 626. Even more, you’re also only a short distance from Junctions 23 and 24 of the M25. Nonetheless, it’s a big old patch of greenery ready for enjoying. Locals might have already heard of this club as ‘Tudor Park’, which not so long ago was East Barnet Gold Club. However, Barnet Footgolf is now a true blood footgolf option. However, in many ways this is a traditionalist’s option. This was once London’s first 18-hole golf course, opening in 1939, and it retains that character and charm. What you get at Barnet Footgolf: At Barnet Footgolf you get convenience with a great mix of traditional golf-style format. This is old-school parkland, and that’s a welcome relief in this area of London. With that you get some brilliant technical challenges due to the natural, and man-made, obstacles. Undulations make for some tricky angles, and a good variety of trees will keep you on your toes, as well as adding to the landscape. 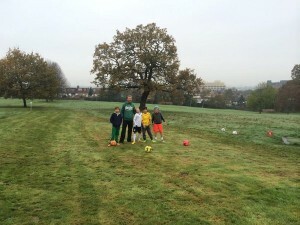 Ealing West Footgolf, often known simply as ‘Hanger Hill Park’ is one not to be missed if you’re looking for a family-friendly spot to give the game a go. Occupying a former 9-hole pitch and putt course, it mixes beauty with ease. Kids and grown-ups alike will enjoy the novelty of the brook running through the middle of the course, and though leading on to an urban landscape, the views are worth it alone. From the highest point you get views out towards Wembley Stadium which adds a great wow factor for kids. Much like Barnet, Ealing is also easily in reach of public transport, and just a five-minute walk from the tube. What you get at Ealing West Footgolf: Despite being a 9-hole course, Ealing West Footgolf still weighs in at 1037 yards in length. This is just right for a family game. Horsenden Hill is one for those living in or heading to West London. It’s easy to feel you’re being transported away from the city here, with the lush greens of the mature trees. However, just a quick glance around and you quickly realise you’re in the heart of things, with spectacular views. This is an excellently-balanced course with something for everyone. Those wishing to explore and expand their technique will soon discover those hills and undulations aren’t as easy as they look, whereas newcomers will have enough success to find themselves catching the footgolfing bug. What you get at Horsenden Hill Footgolf: At Horsenden you get amazing city views in an encompassing park feel. You find a spot to come and kick your cares away, whilst also challenging yourselves and others. Once you’re done, the bar is a relaxed and friendly place to unwind. 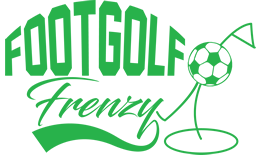 What’s great about Notleys Footgolf is its location in Braintree. It’s a compact course which is great if you’re coming along with family at either end of the generations. Despite weighing in at under 1000 yards it has 18 holes, meaning there’s never a dull moment and this course is pretty action packed. What you get at Notleys Footgolf: At Notleys they take a deep interest in maintaining and developing the course. This means that since its opening only a few years ago it’s already seem some alterations with a brilliant new fourth hole, and some great extensions too. 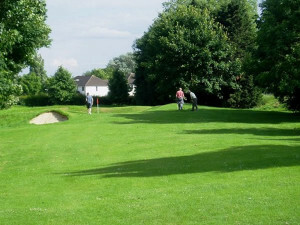 Chelmsford Footgolf is situated at West Park, a short distance from the centre of town. 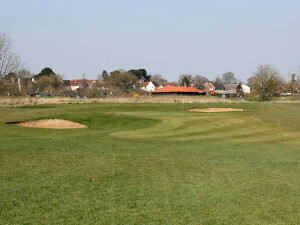 A mature parkland course, this is one that can be enjoyed week round. 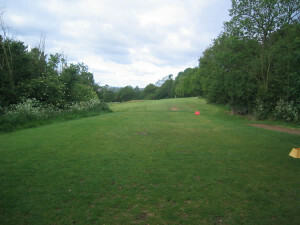 There are nine holes situated alongside the 18 hole pitch and putt. It’s got a brilliant little café for the end of your round celebrations. The landscape here is lovely, allowing you to wander in among the trees and navigate some interesting undulations and bunkers. What you get at Chelmsford Footgolf: Footgolf here is a distinctly relaxed affair focused on fun and enjoyment rather than the restrictive rules of old-school golf courses. What’s also great about Chelmsford is the course rarely gets waterlogged, unlike many other footgolf and golf courses. Therefore this is a great year-round course. Whatever brings you to Essex or London, do make sure that footgolf features on your agenda. If you’re a local, what are you waiting for?! Book one of the top 5 London and Essex Footgolf courses! Website Design by Sarah Wain Consultancy Services Ltd.